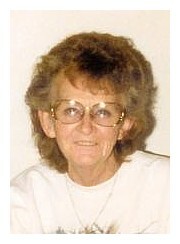 COURTNEY, NORMA ELEANOR, 75, of Leon, Iowa, died on Thursday, March 24, 2011, at the Decatur County Hospital in Leon. 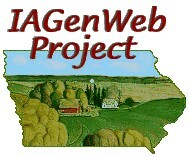 Funeral Services were at 11:00 a.m. on Monday, March 28, 2011, at Trinity Christian Church west of Decatur, Iowa with Rev. Terry Roberts officiating. Burial was in the Leon Cemetery, in Leon, Iowa. Arrangements were through Slade-O'Donnell Funeral Home of Leon. A memorial fund has been established by the family. Norma Eleanor Courtney, age 75 of Leon, Iowa daughter of Fredrick William and Gladys Marie [Space] Brandt, was born March 2, 1936 in Princeton, Iowa and died March 24, 2011 at the Decatur County Hospital in Leon. Norma grew up in the Grand River, Iowa area. On June 6, 1954 she married Harold William "Tate" Courtney. Together they had five children: Kelle Sue, Carey Lee, Christopher Anthony, Kayla Ann, and Karla Mary. Norma worked at Casey's for 13 years making doughnuts and sold Avon for 30 years. She also worked at Westview Acres and DEKKO. Norma enjoyed visiting with people. She was a wonderful Mom, Grandma, and great Grandma who loved having her family around. She was a wonderful cook, spending about every Sunday fixing Sunday dinners for her family. Norma loved her grandchildren - baby sitting and helping them do their homework. Norma liked feeding birds and watching them. Cardinals, Indigo Buntings, and even a Bald Eagle were seen in her yard. She also fed the foxes and deer and especially enjoyed the triplet fawns that came up by the house. Norma liked berry picking, gardening, and canning food. She had many good times playing cards an Board games with her family. Norma enjoyed watching her "stories" (soap operas), doing jigsaw puzzles, and counting down the days to spring every year. Norma was a long-time member of the Leon Christian Church and then Trinity Christian Christian Church. Preceding her in death were her parents Gladys and Fred Brandt; husband Harold Courtney in 1994; daughter Kelle Sue Layton; 3 sisters: Geraldine Brandt, June Wilson and husband Max, and Angela Duff and husband Carl; and 3 brothers: Fredrick Brandt, Jr. and wife Mary Ann, Gerald Brandt, and Gordon Brandt. Surviving are her four children: Carey Courtney and wife Patty of Osceola, Iowa, Chris Courtney and wife Melissa of Osceola, Kayla Palmer and friend Sean of Leon, and Karly Harrah and husband Chris of Leon; 9 grandchildren: Jennifer Layton, Coresa Rychnovsky and husband Mike, Chad Layton, Eric Courtney and wife Stephanie, John Palmer and friend Alyson, Heather Harrah and fiance Andrew, Joshua Courtney, Alex Courtney and Nathan Harrah; 6 great grandchildren: Carrie Ann, Jasmina, Andy, Christian, Sabrina, and Truman; 4 sisters: Grace Dennhardt of Davenport, Iowa, Joyce Smith and husband Eudene of Ottumwa, Iowa, Garnet Brandt of Ottumwa, and Genora Jones and husband David of New Virginia, iowa; 2 brothers, Norman Brandt and wife Ester of Knoxville, Iowa an Roger Brandt and wife Carolyn of Alton, Illinois; nieces and nephews; and other relatives and many friends.